​​G.I.Joe was not only A Real American Hero, he was and is An International Hero! 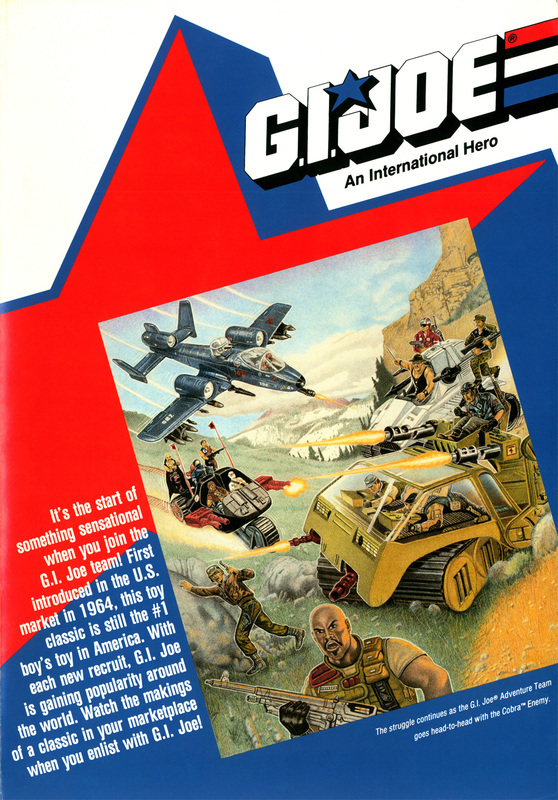 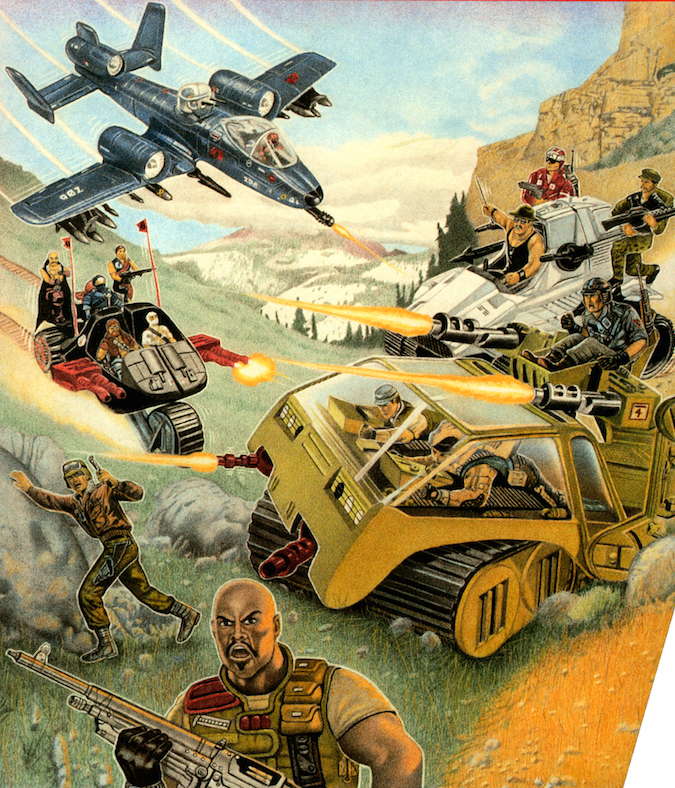 During the 1982-1994 A Real American Hero run, G.I.Joe was sold in dozens of countries through out the world. The 1988 guide documented here was sent to Licensees worldwide. It features line art and color guides for vehicles that were released from 1983-1986 in the U.S. and figures that were released from 1985-1986 in the U.S. 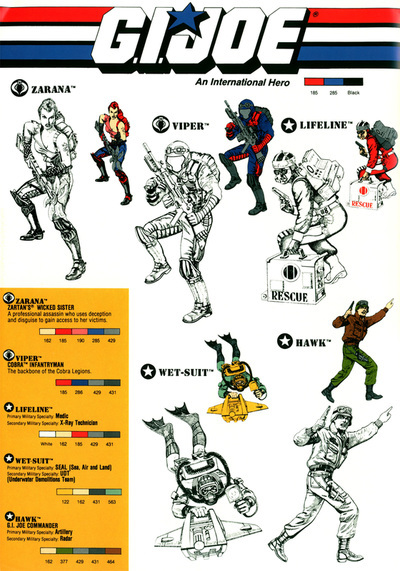 This guide is a two-sided full-color tri-fold. 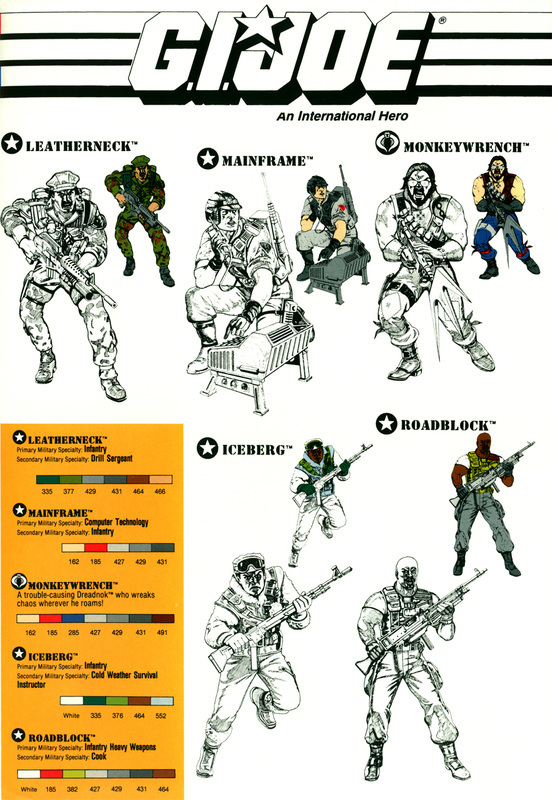 The outside middle explains how the international Licensee was supposed to use the information within: "The line art and color specifications used in this kit have been prepared to aid in the use of the property. 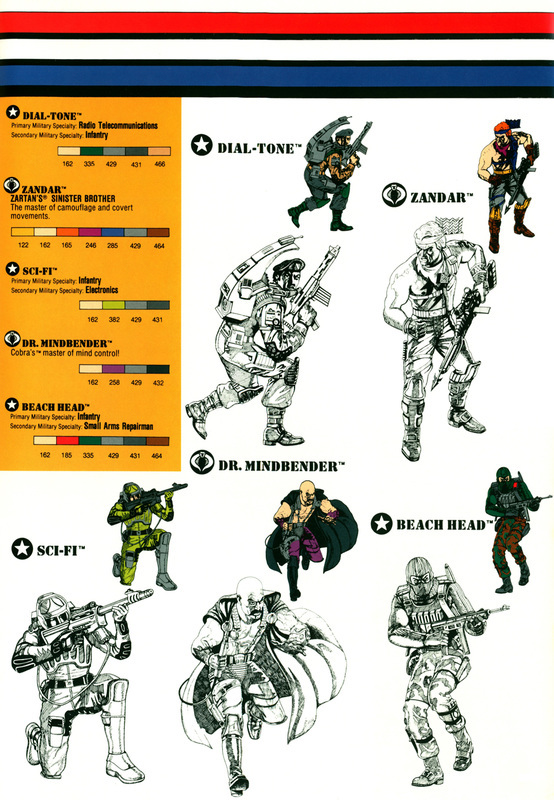 The PMS colors specified for each character must be used consistently to maintain a distinctive look." 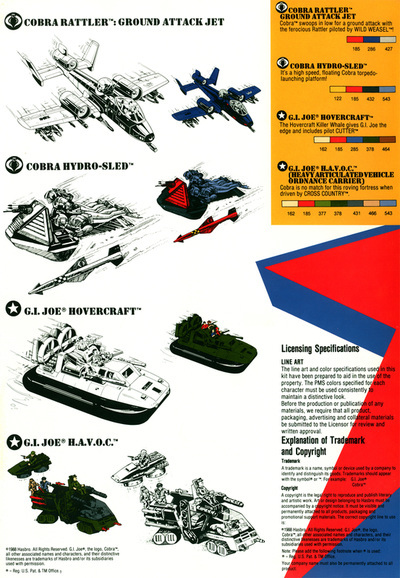 It also explains how the international Licensee was supposed to collaborate with the Licensor (Hasbro): "Before the production or publication of any materials, we require that all product, packaging, advertising and collateral materials be submitted to the Licensor for review and written approval." 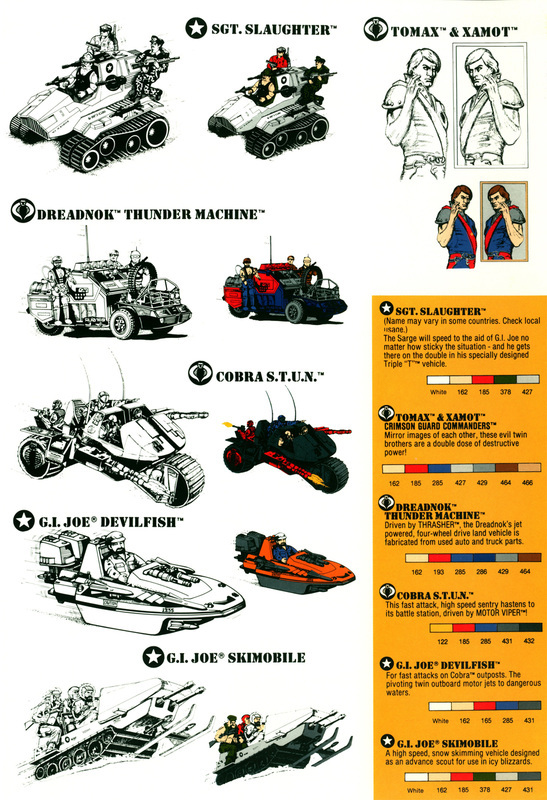 I'm betting Funskool did not read the color specifications. 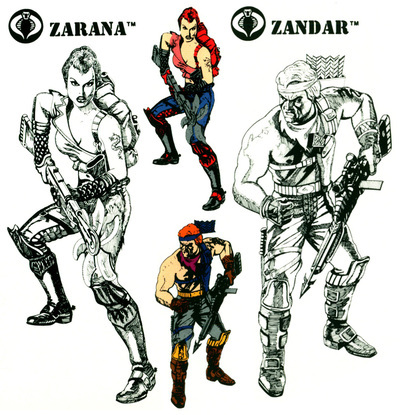 The line art and color specifications shown here show Zandar and Zarana's original designs, complete with bare upper arms and matching tattoos! They were revised to add armor to their upper arms, eliminating the tattoos.